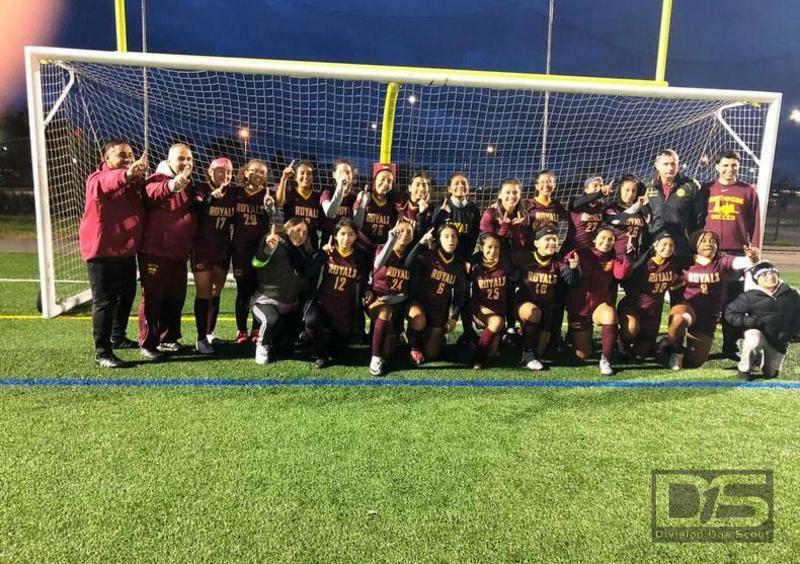 The Christ the King (CK) Lady Royals girls soccer team did it again. CK beat Saint Joe's by the Sea of Staten Island by a score of 2-0 to win the New York CIty Title for the third time in six years. A week after winning the Brooklyn/Queens Title, the lady royals used that momentum to capture another City title. The game was a tale of two halves, where the Staten Island champions controlled the first half and the Brooklyn/Queens Champions controlled the second. St. Joe's created a couple of chances in the first half, but they were neutralized by the CK keeper sophomore Sara Villacres in the waning minutes of the first half. 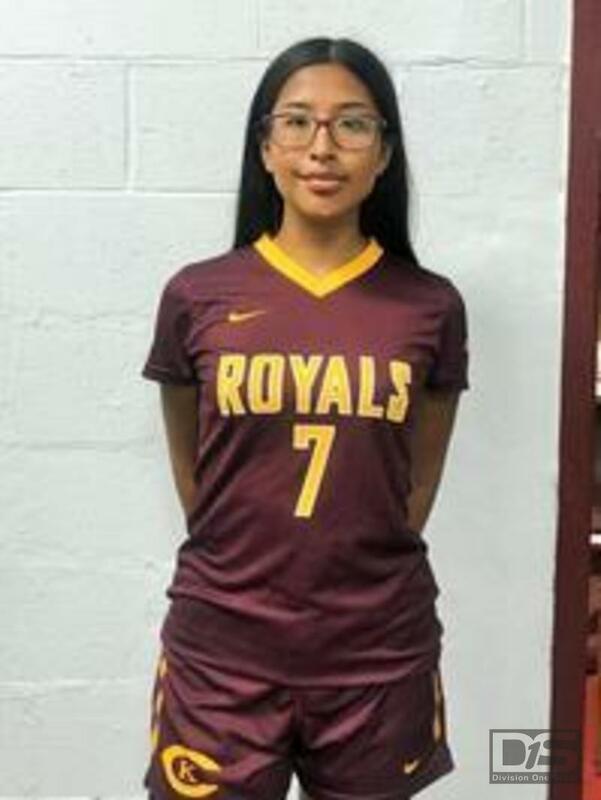 In the second half, junior Malena Arevalo gave the royals a great boost of the bench at the striker position and that led to CK controlling the rest of the game. Freshman Joanna Perez tallied the first goal of the game after recieving a cross from the right wing assisted by Arevalo. CK continued to press and sophomore Diana Rosendo almost doubled the score from inside the 18 yard box, but her shot was saved by the keeper. Sophomore Maya Marchan was tripped 25 yards away from the St. Joe's goal and Freshman Jaiden Vera traslated the free kick into a goal from a direct free kick in the 36th minute of the second half to put the game away. Next the royals play Saint Anthony's High School from Long Island for the New York State Semifinals at College of Staten Island on November 10 at 1:00 O'Clock. On Friday 10/26 at 4:30 the Christ the King Lady Royal (CK) played at number 1 ranked Xavarian High School from Brooklyn and was able to capture the Brooklyn/Queens Championship with a final score of 1-0. The CK Royals were fresh off a semi finals win over Archbishop Molloy 3-1 at Brennan Field in Middle Village. The Royals took control of the game from the start playing attacking style soccer with high press. The royals midfield was able to control the first half and were able to create multiple chances for forwards Gabriela Campuzano, Taysha Deshommes and Angel Cruz. Freshman left winger Joanna Perez had the best chance to open up the score in the first half with a one vs. keeper inside the 18 yard box, but the Xavarian keeper was able to deflect Perez's shot. In the second half of the game the intensity rose and the Royals girls were able to create chances using both flanks. Sophomore Maya Marchan was able to beat her defender and score the game's only goal from 16 yards with a chip shot. Next, the Royals play for the New York City Title at Owl Hollow in Staten Island on Thursday 11/1 at 7:00 PM. Then they will play at College of Staten Island on Saturday at 1:00 vs. the representative of Rockville Centre. 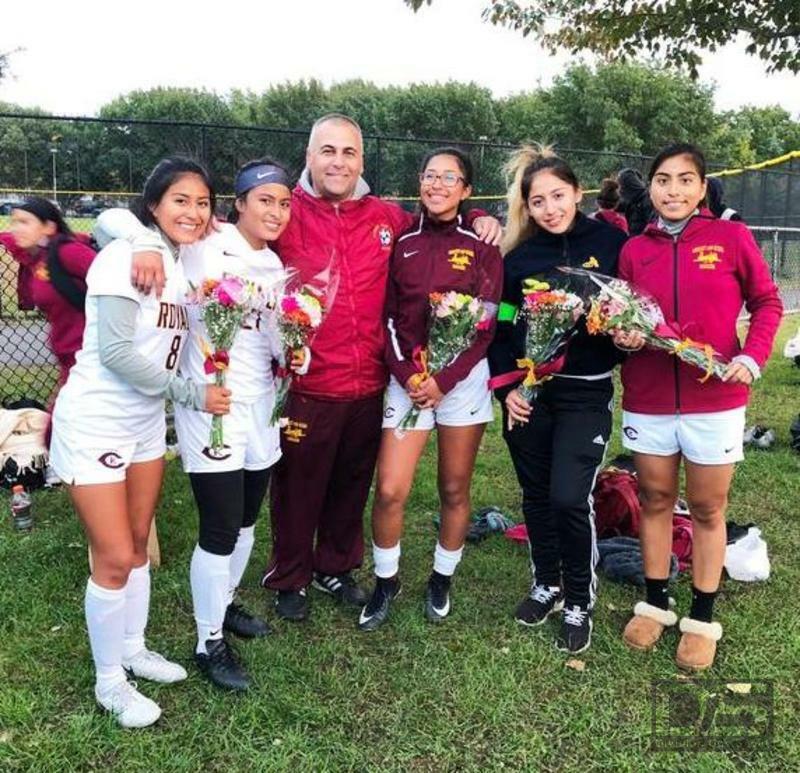 Christ the King Women Varsity Soccer (CK) defeated Molloy at Brennan Field on Monday October 23rd at 4:00 with a score of 3-1 in the Brooklyn/Queens semi finals of the Catholic schools association playoffs. The game started with most of the play exchanges in midfield between the two teams. The CK midfielders were able to control the tempo of the game with a possession style offense and were able to utilize the forwards in order to create a balanced offense, however Molloy was able to open up the scoring on a counter attack in the 19th minute of the game. CK's players responded swiftly and were able to tie the game immediately when senior Pamela Pineda sent a ball to the box to freshman Joanna Perez who in turn calmly placed it in the net. CK scored again five miinutes later when Sophomore Maya Marchan was fouled outside the 18 yard box earning CK a free kick. Freshman Jaiden Vera converted the free kick into a goal on a direct shot. Marchan hit the post a few minutes later as the halftime whistle blew. The second have was more of the same with many exchanges between both teams. CK's senior fullback Jasmine Miller had a chance to score from a corner kick, but the Molloy keeper was able to save it. Fellow freshmen Ashley Pintado, Adriana Melgar and Gabriela Campuzano were able to control the midfield area and provide multiple chances for forwards to score. The third CK score came when Campuzano connected with Perez in the 68th minute inside the 18 yard box and Perez made sure to score her second of the day. CK celebrated their five senior players' last home game before they go to their colleges next year. Angye Galan, Pamela Pineda, Karol Guaman, Elizabeth Gordillo, and Jasmine Miller. CK plays Xavarian High School from Brooklyn for the Brooklyn/Queens Championship next on Friday October 26th at Aviator Field. Next the lady royals will host Maria Regina at Brennan Field on Friday Spetmeber 21st at 4:30. The second half started with CK's midfielders controlling most of the play, while Spellman relied on counter attacking. The royals defenders were able to neutralize those attacks throughout the game. Marchan scored her second of the game assisted by Campuzano in the 56th minute. Campuzano concluded the scoring with her own goal from 18 yards out assisted by Senior Jasmine Miller. Next, the royals will face Saint Joseph Hill of Staten Island at Aviator Field on Monday September 10th at 4:30. 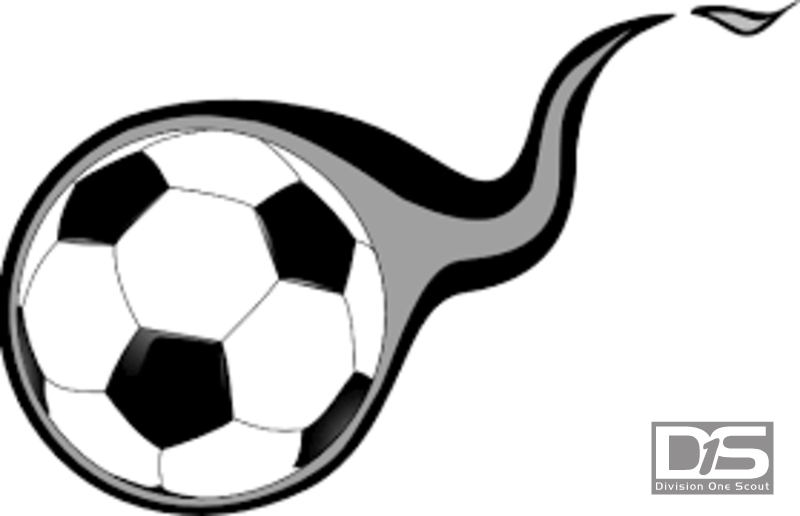 The girls soccer tryouts will be on August 20, 21 and 22 from 9-11 at Brennan Field located at Lutheran Avenue in Middle Village next to the track field. Everyone is expected to bring plenty of water and be in top soccer shape.